They knew this moment would shape the rest of their cruising lives. With their incurable curiosity and desire for adventure, they sold all their belongings and flew to America in search of a boat. The pull of the ocean was too strong to ignore any longer. Four years prior, they circumnavigated the globe on their thirty-three foot boat, Mariah. Now they wanted a new challenge. From the perils at Pitcairn to the grand statues of Easter Island, Jackie and Noel set sail south to the remotest inhabited island in the world. Along the way, they lose a friend and come nail-bitingly close to losing their new boat, but they gained so much more: a voyage that left them breathless from fear and a journey of not only travel but of two truly nomadic gypsies. This is a story of storms of emotions and oceans, travel, love and relationships, and two people figuring out life and fulfilling their need to move and be challenged. For many months Jackie and Noel trained scared, scatty horses and punished their own unfit bodies to meld them as one team. The emotional turmoil of dealing with a broken horse, euthanasia and a miracle made them stronger; forging bewildering bonds. 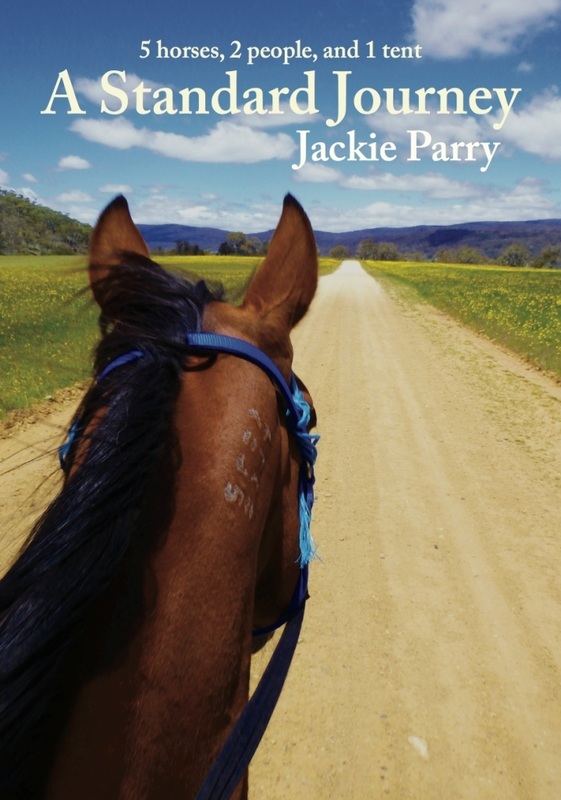 Life became horses, trail and camping; all seven reliant on one another as they trekked along part of Australia’s majestic Bicentennial National Trail. Emotional histories were tackled by animal and human. Fears were faced and conquered. With no support and all their worldly possession on horseback, they made hysterical errors and learned the hard-way. They were amateur horse-handlers, but they created something special, unique and incredibly endearing. Did the team of seven that started together, finish together? Mount up and take a ride along life’s natural trail of trauma, fear, disbelief, pain and loyalty. After suffering an emotionally-brutal bereavement and against her counsellor’s advice, Jackie ran away. Suddenly within a new culture, with a new husband, and no friends, she was living in the obscure world of cruising with zero knowledge of boats. 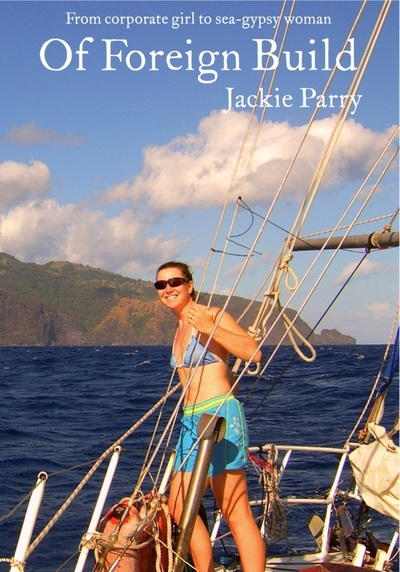 Crashing within the first twenty-four hours, Jackie realised life would never be the same again; a floating home with no fridge or hot water, and with a dinghy instead of a car. Suffering self doubts, she became fearful of her new world. The first off-shore voyage took Jackie into a ferocious storm, which battered her physically and mentally. Amid the raging seas, Jackie shed the fear she’d been harbouring. Soon she was blissfully voyaging around the world, but she still carried the mixed emotions of losing one man, while falling head over heels in love with another. With over 1,800 tips, tricks, words of wisdom and ideas on cruising, interspersed with more than 100 short stories, Cruisers’ AA provides all the advice you need to go cruising NOW and improve your life on board. With great ideas on voyage preparation, piracy, pets, kids, communication, health, boat handling, electrics, equipment, fun & games, maintenance & repairs and so much more, it will show you how to significantly enhance your cruising life. Do you long for a life of cruising? Are you currently on passage? Perhaps you simply dream of great possibilities that seem so far from your daily life. This book bridges the gap and gives you the means of escape. With Cruisers’ AA, you will gaze through the porthole into another world, a world where you can live freely and improve your life. Already cruising? 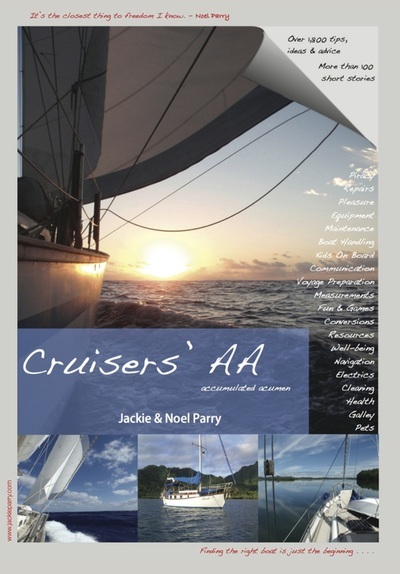 If you are a cruiser, then you already know the joy of living freely – this book will help you make cruising life even more enjoyable, and show you how to stretch your budget to allow you to live freely for longer. 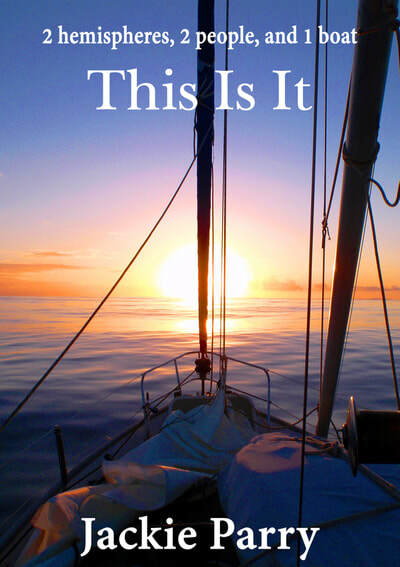 If you are a firm landlubber, are interested in knowing what happens ‘out there’ and want some great tips that could help you improve your life too, take a look – you might be surprised at what you find. Cruisers’ AA slices through the myths of living on board. It shows you that once you have the right boat, anything is possible. Turn your dreams into reality with advice from hundreds of cruisers. The hardest part about going cruising is making the decision to stop writing lists, untie your lines and get going. This book will help steady your fears and sink your doubts. Thought provoking questions and answers will steer you on the right tack. Once underway, this book will provide neat ideas on improving, maintaining and loving your cruising life. Finding the right boat is just the beginning . . .